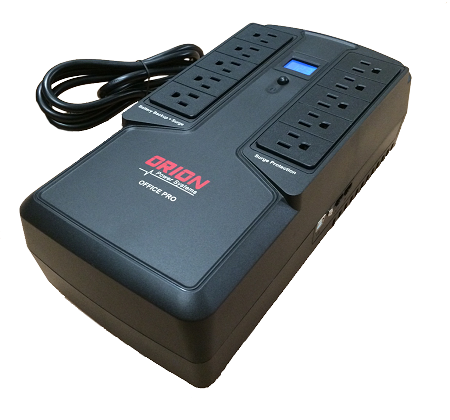 550VA and 750VA UPS Battery Backup from Orion Power Systems, Inc. The Orion Power Systems Office Pro LCD 550 and 750VA models are feature rich but cost effective solutions for protecting small home office computers, telephone, security, and peripheral equipment. Office Pro 550VA/330W UPS Battery Backup with touchscreen LCD. Orion Power Office Pro LCD flat style 750VA/450W UPS Battery Backup with touchscreen LCD.